Hard to believe, isn’t it? The HTC Thunderbolt, the device that was supposed to kick off the Skype with Video campaign back in March is just now receiving it almost a month and a half after it was released to the Android Market. 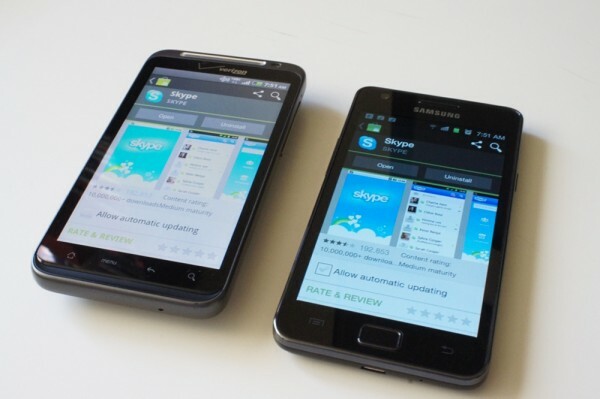 The Skype team didn’t just stop there though and actually added 17 other top devices including the DROID Charge, LG Revolution and Samsung Galaxy S II to the supported list. It looks like they’ve adopted the same model as Netflix (slowly but surely), but we’ll admit that we are still happy that it’s making its way onto some of our favorite phones. Oh, we should probably point out that if your phone is running 2.2, like the Thunderbolt and Charge, you won’t be able to use your front camera with it. Not sure what exactly Skype is thinking, but that’s what we have. HTC to Allow Bootloader Unlocking Via Web Tool for "Developers and Enthusiasts"